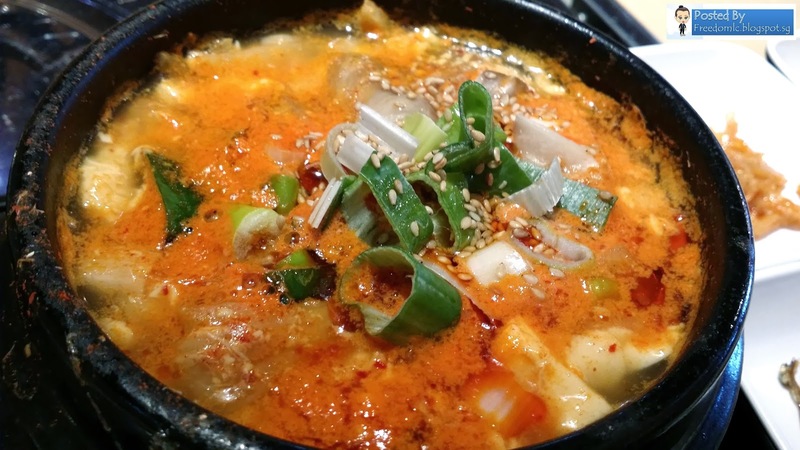 If you have missed my previous blog about Manbok Korean Food. You can click here to read more about this restaurant. If you come alone without any partner, you can consider Manbok set meal. 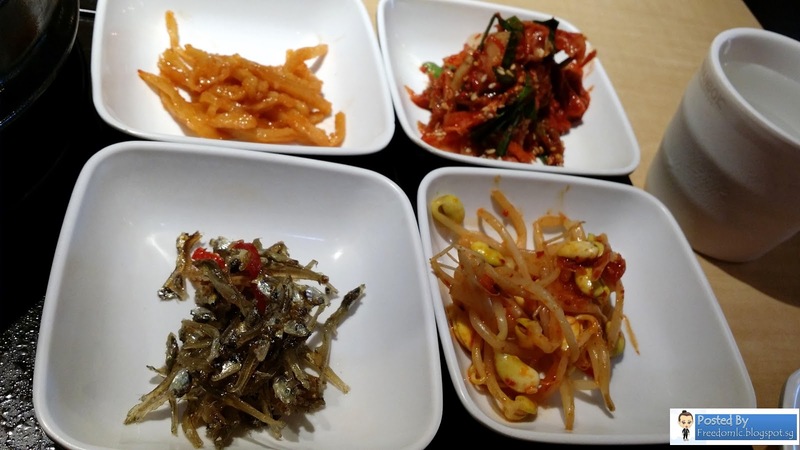 This set meal is definitely worth the value to order which inclusive of six side dishes. 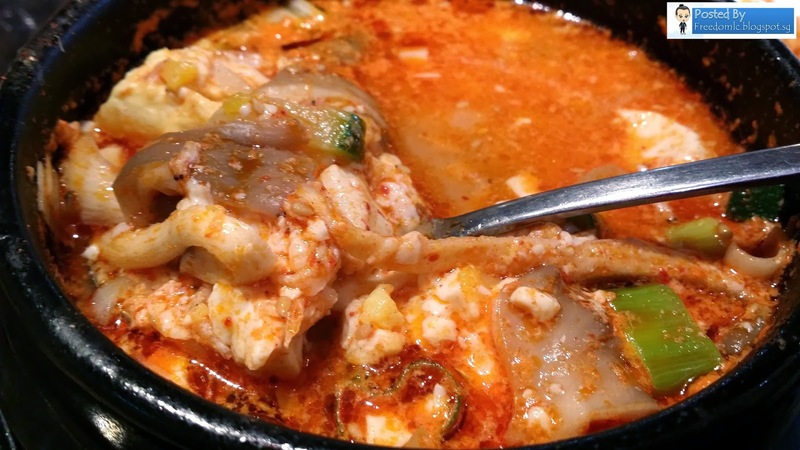 Authentic Korean Soup that taste so delicious. Let's start with the soup first. 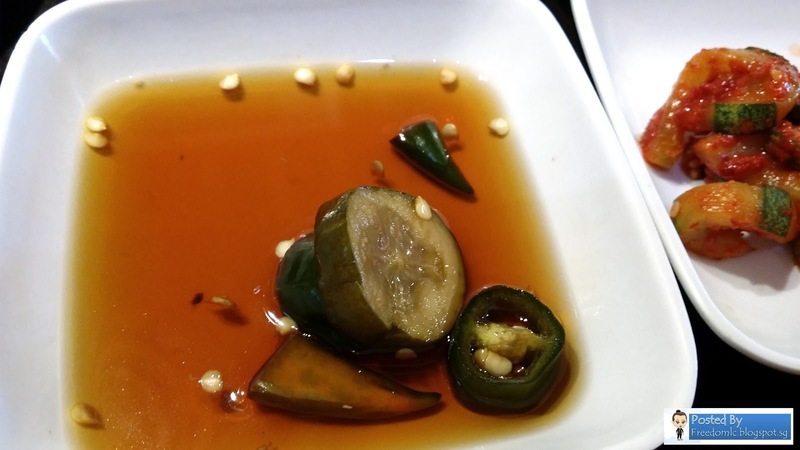 Soup don't taste too spicy yet with mild sweetness. 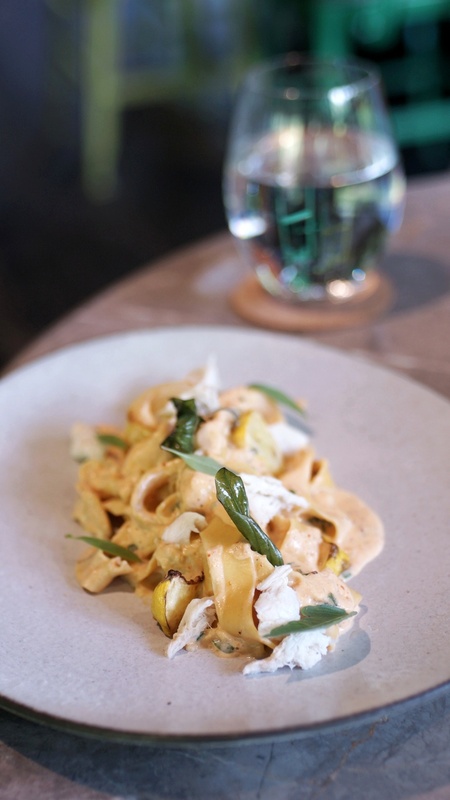 Soft tofu mixed well with other ingredients like cucumber, mushroom, clams, and egg. 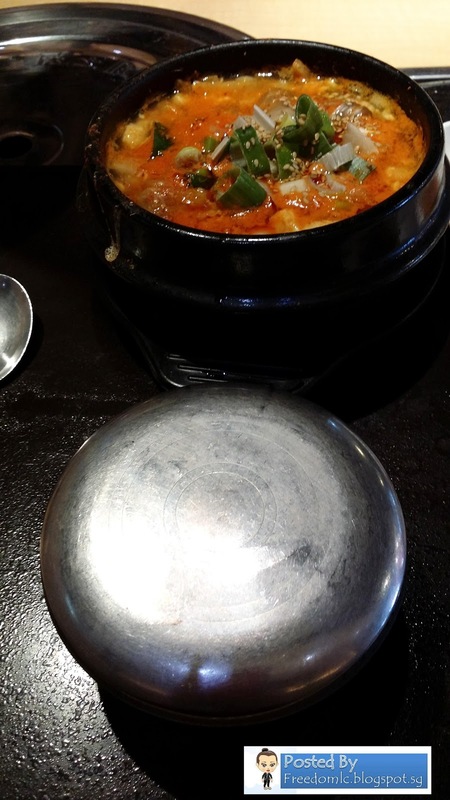 I liked Manbok mixed Kimchi very much. Mild spicy at the first taste with salty flavour. 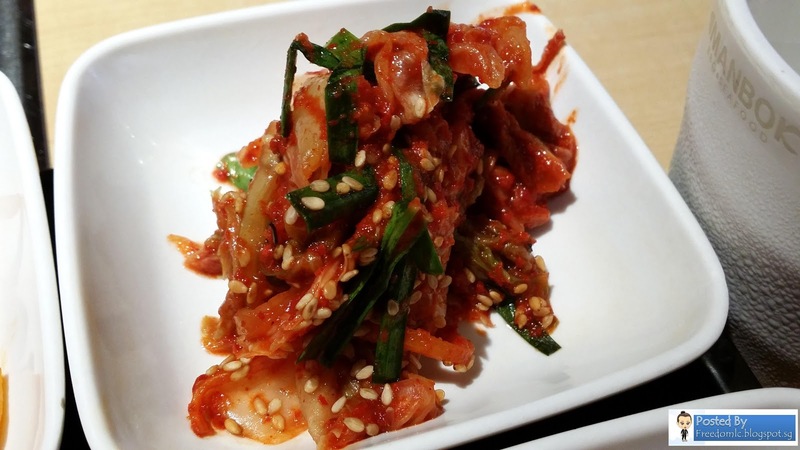 Kimchi do not taste sour at all. 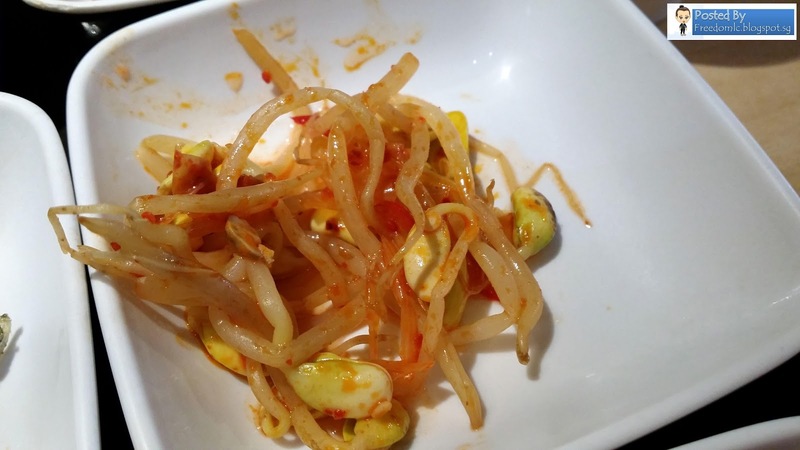 Bean sprouts tasted crunchy with mild spicy flavour. 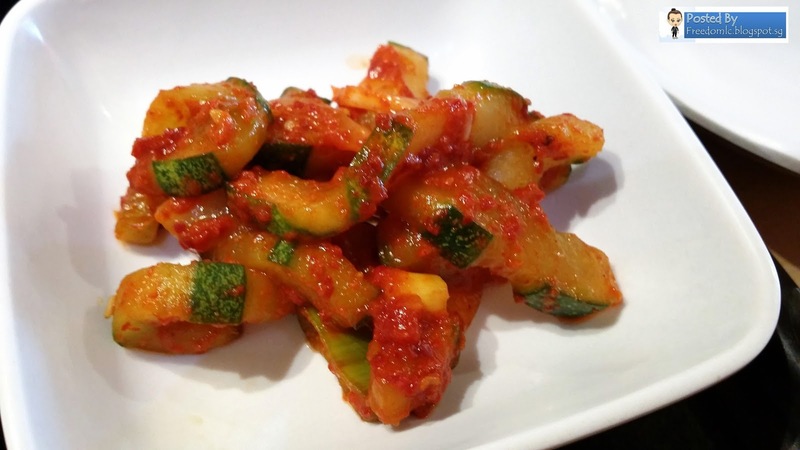 Cucumber kimchi also has mild spicy but cucumber still tasted crunchy. 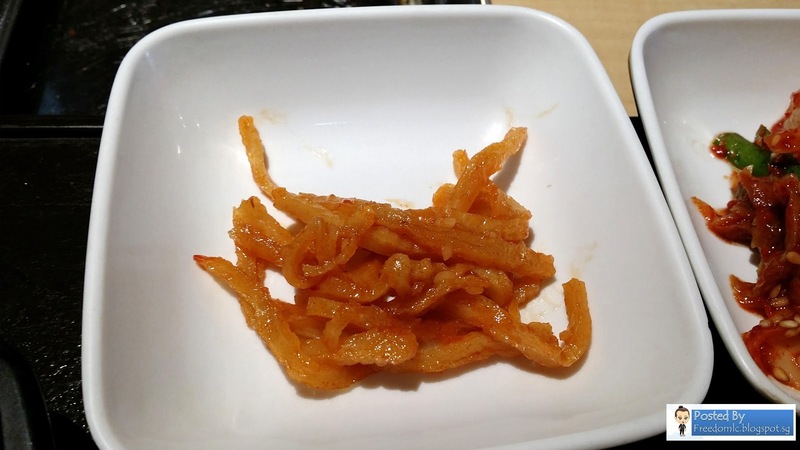 I don't really know what is the name of this side dish. Taste like raddish .... I will find out during my next visit. 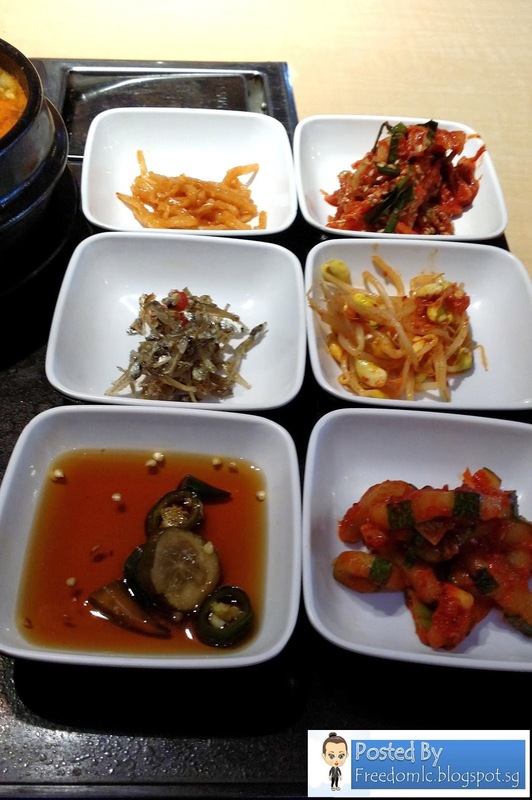 You can consider drop by to Manbok and try their korean cuisine. With the full dining experience that Korean Service Staffs around to serve food. I also like the ambience very much especially restaurant also play some nice korean songs. 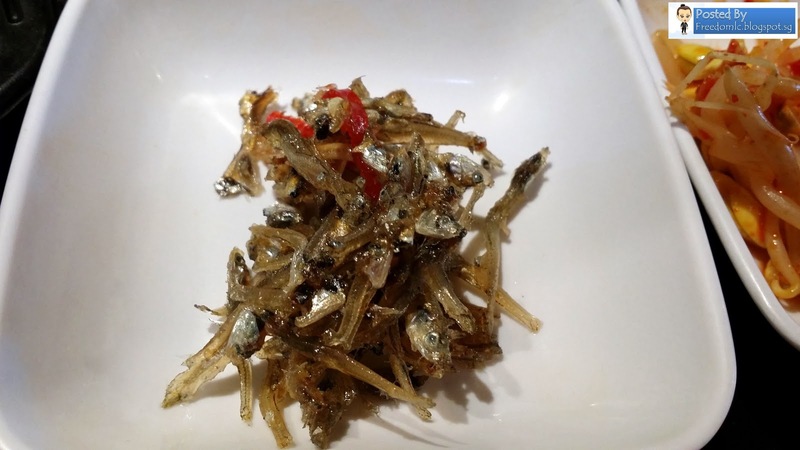 Affordable pricing yet with good food is the most important factor for me to recommend to you.